The awesome designs on the lace of this dress, as well as the flattering cut make it a winner. The Delicate Designs Square Neck Belted Lace Dress is fully lined except at the sleeves, which are semi-sheer. It has a squared neckline trimmed in lace, half sleeves, and a fitted curve-hugging cut. An included belt wraps around the waist and ties this look together, and a hidden side zipper makes it easy to get into. 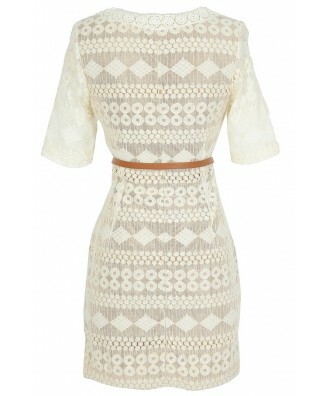 The Delicate Designs Square Neck Belted Lace Dress would look cute paired with pumps, wedges, or flat sandals. You can accessorize this dress any way you like! Fit note: This dress runs short and small; consider sizing up. Details: Fully lined, except at sleeves. Hidden side zipper. Belt included. 80% cotton, 20% nylon. Hand wash cold. Do not bleach. Dry flat. Low iron. Do not dry clean. Small measurements: Length from top of shoulder to hemline: 32”. Bust: 30”. 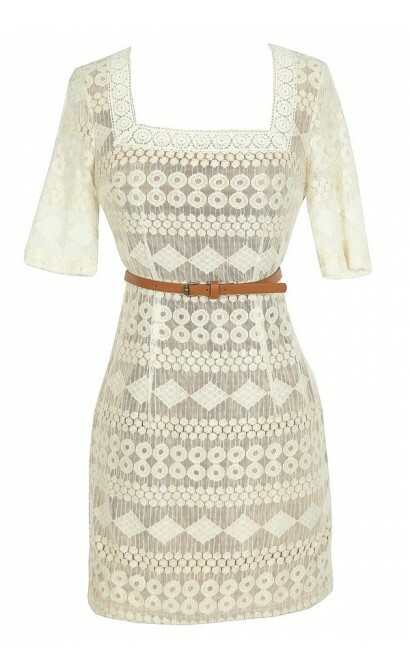 You have added Delicate Designs Square Neck Belted Lace Dress in Ivory/Beige into Wishlist. 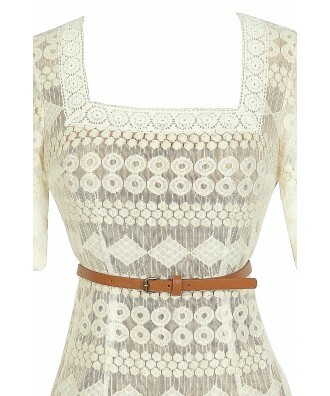 You have added Delicate Designs Square Neck Belted Lace Dress in Ivory/Beige for Stock Notification. 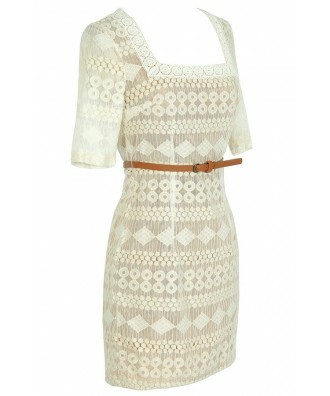 You have set Delicate Designs Square Neck Belted Lace Dress in Ivory/Beige as a loved product. 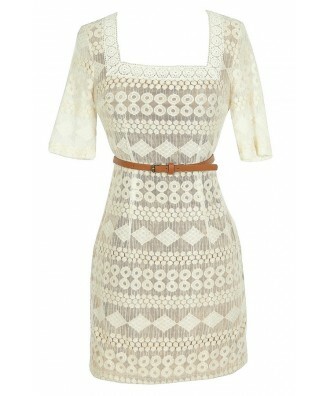 You have removed Delicate Designs Square Neck Belted Lace Dress in Ivory/Beige as a loved product.